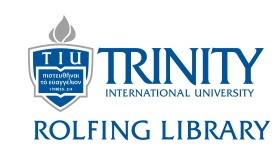 Different citation styles are used in the various schools and departments of TIU. See a list of styles by department. Check with your professor to be sure which style to follow for a particular class.